Do you ever talk to yourself? I’m here to recommend it. 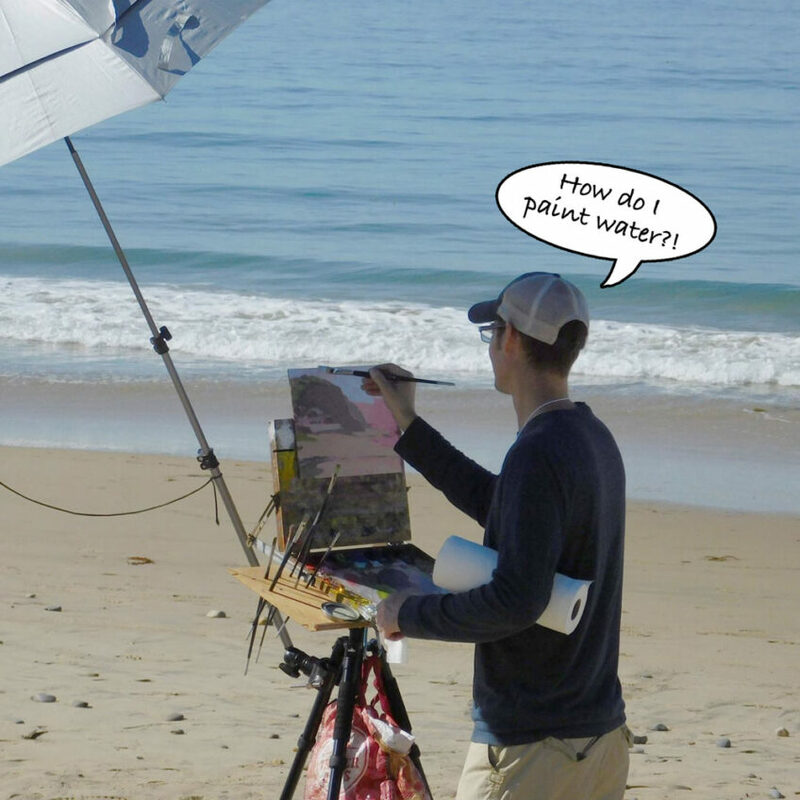 When we’re painting on location and faced with the task of translating our chosen three-dimensional scene onto our two-dimensional canvas, questions come up. Perhaps you noticed that all of those example questions address “rules” we may have been taught about how things are “supposed” to look. I’m a strong advocate for the importance of rules, and they can and do apply much of the time. But I think we as painters ultimately have to learn to trust our eyes. 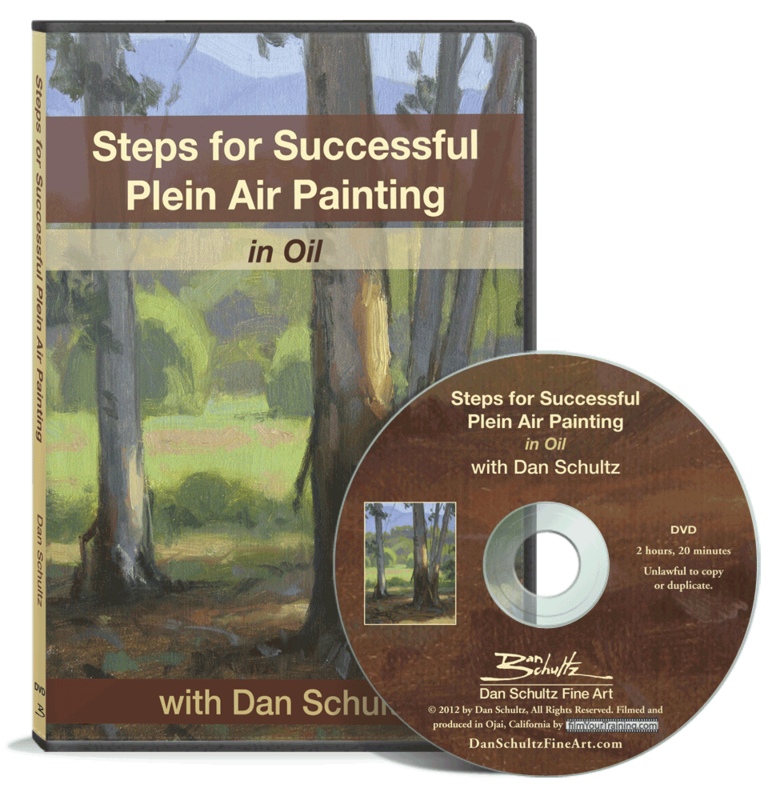 A familiar quote: “Paint what you SEE, not what you KNOW.” Of course, this requires spending a considerable amount of time practicing the act of painting so that your eyes become trained to see more accurately. As you travel this road of ongoing practice, be mindful that what you THINK you’re seeing isn’t necessarily what you’re ACTUALLY seeing. Our brains like to confuse us that way sometimes. Do whatever you can to make sure you’re accurately judging what you see. So, back to my recommendation to talk to yourself: While painting, stop and ask yourself questions about what you see. Do some analyzing, then answer the questions. Don’t just mindlessly carry on painting. Stop to figure out WHY what you’re seeing looks the way it does. If you find yourself relying on a “rule” you’ve learned, stop to consider what your eyes are actually seeing. Then decide whether the rule applies or if your eyes are seeing something contrary to the rule. Your family and friends will probably still accept you once they discover how much you talk to yourself. If not, turn your head and look at them sideways. Then they will really think you’ve lost it. Love your wisdom and humor! Thanks for sharing! As always love your take on things, your humor and encouragement to follow the rules when they apply but follow our instincts when they don’t! Thanks For helping us know the difference Dan! Thank you for the tips! Always helpful. Thanks Dan – I will turn my head sideways while asking myself questions 🙂 I need to question more and not plunge ahead so much! Thanks Dan, I appreciate your advice, good stuff as usual!